Despite the time of year, it's busy around the dropzone. It's event season in the Flight Deck and we have private parties, corporate events, and company meetings nearly everyday and Rock Sky Market is always busy. On the CSC side, we're developing a very exciting event schedule for 2019 including plenty of camps, comps, boogies, and parties. Keep a close eye on our events calendar as we're adding events all the time and more details will be posted daily. Our goal is to finalize the event planning soon so everyone can plan their summer travel schedule and have the information on what's going on at CSC. Consider subscribing to the CSC Events Calendar. New events will get added directly to your calendar along with information, links, and any changes and updates that may happen in the future. The time to apply for your Pro Pass is coming to a close at midnight this Saturday. We will make our selections and recipients will be notified no later than December 20th. 30 Day Summer Camp pass applications will remain open. We're changing up the Holiday Party this year. We're taking it to Wrigleyville to Roadhouse 66 Gas n' Grill on Saturday, January 12. Roadhouse is owned by a friend of ours and we wanted to bring the party downtown to open it up to many people who otherwise wouldn't join us. Party starts at 7:00pm with appetizers courtesy of CSC along with a cash bar. Please RSVP no later than January 5th. Plenty of nearby hotels. It's gift certificate season for CSC and we're asking for help to spread the word. 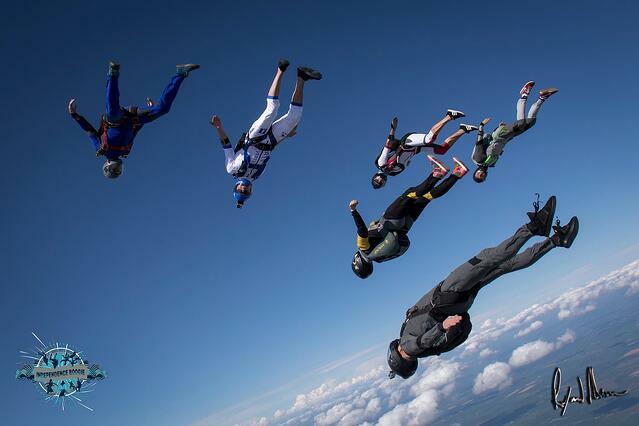 We have some great deals this month for tandem skydives. Please share this link on Facebook to help us get the word out. Strong holiday sales translates to a busy start to our season which, of course, means we'll be flying more loads! As most of you probably know, online reviews are extremely important to our business as more and more consumers rely on reviews to help make their purchasing decisions. If you'd be willing to leave a Google Review for CSC, it would really mean a lot to us. Just click here. Thanks! Our Auto-Pay option continues to gain interest. We have quite a few people doing weekly and bi-monthly installments for amounts ranging from $25/week to $250 twice a month. It's totally customizable and easy to change to fit your budget. You tell us how much and how often and there are no fees. It's simple to sign up. The Blue Skies Magazine Dropzone Awards voting is still open. We'd be honored to earn your vote again this season. It takes just a few minutes and it's something we've been proud to be a part of for many years. It means a lot to us to always see our name mentioned along side the best dropzones in the world. A little secret: you can vote as many times as you want! Douglas Smith is CEO/President, and Guest Relations Associate at Chicagoland Skydiving Center. He has owned and operated the business since 2000. He has been skydiving since 1994, and in addition to leading the CSC Team, is currently an instructor, videographer and pilot for CSC. 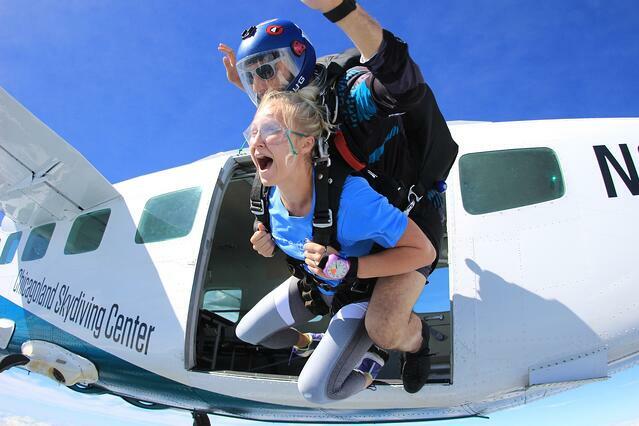 Stay up to date on the latest news and happenings from CSC and the rest of the skydiving world.